We offer a number of security and energy-saving lighting options, including solar-powered, motion-activated LED security lights, 'hard-wired' industrial quality wall pack lights, and a number of options in-between. Features include energy management systems and apps that extend battery life (for our solar driven options), simple adjustment of timers, brightness and sensitivity, and quick and easy installation. We're inventing (literally) a variety of lighting solutions for the home that offer energy savings, enhanced functionality and smartphone convenience. Our Diffused LED Recessed Lights are a patented solution that couples the brightness and energy savings of LED lights with the soft glow of incandescent bulbs. Perfect for replacing your conventional, power hungry recessed lighting fixtures! 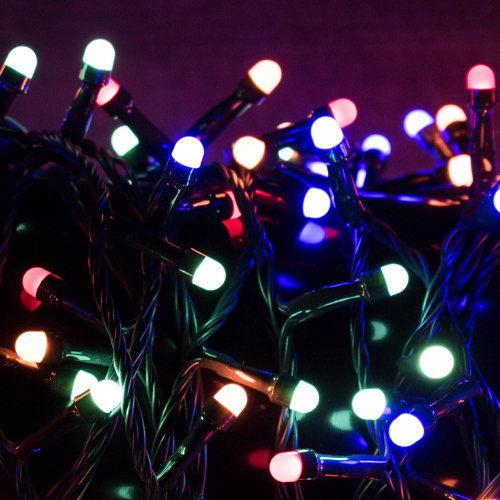 Celebrate the Holidays with flair by adding Novolink string lights to your indoor or outdoor celebrations. These lights pulse, dim, dance and flicker to preset patterns that you select, and with Wireless Smart Control lights, you can use your smartphone to play with the light display and set timers.